Biryani is a splendid dish among the rice dishes of Indian cuisine, and is served on most of the occasions. This is one of the dish that comes first to our mind when we think of a rice dish, which is rich in flavour. 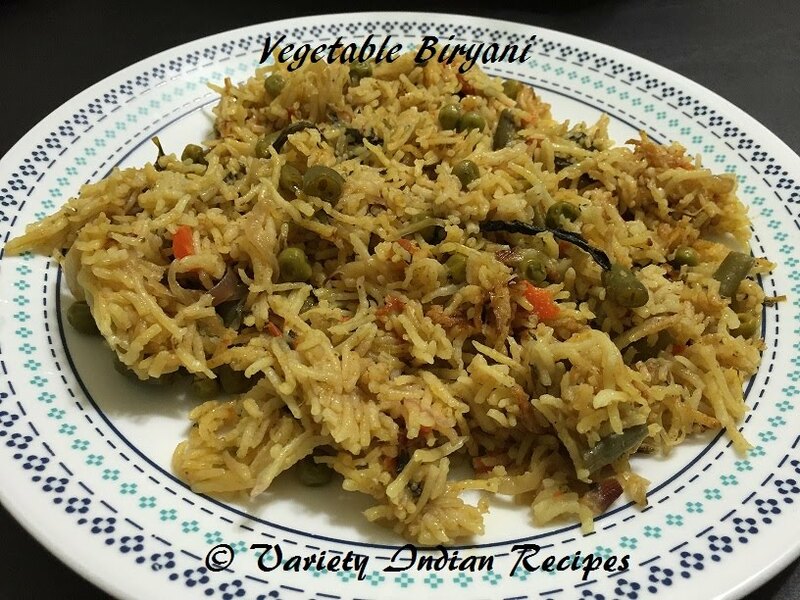 Vegetable biryani is a rice dish flavoured with spices and fresh vegetables making it a delicious, aromatic and a very popular dish. Heat oil in a pan, add cinnamon, cloves, cardamom, bay leaf and saute. Now add the cut vegetables and saute well. Add the biryani masala, salt and curd and stir well, allow to cook for 3 to 4 minutes.